Something you may not be able to know about me from an online picture, but I’m short. I’m 5 foot 2 and 3/4 inches. Now, that 3/4 of an inch is VERY important, I tell you what!! When I moved into my 5 bedroom house, I bought a new bedroom furniture set and it’s so tall, I literally have to run and jump to get into bed. I need an elevator just to sleep at night. Okay…maybe it’s not THAT bad. lol. My daughter has the opposite problem. She’s TALL. I buy her shirts and they always show her tummy there at the bottom. We’ve tried going one size up but then it’s too big because she’s on the thinner side. I think that we ALL have issues that we hate about ourselves. We all have things that can hinder us. 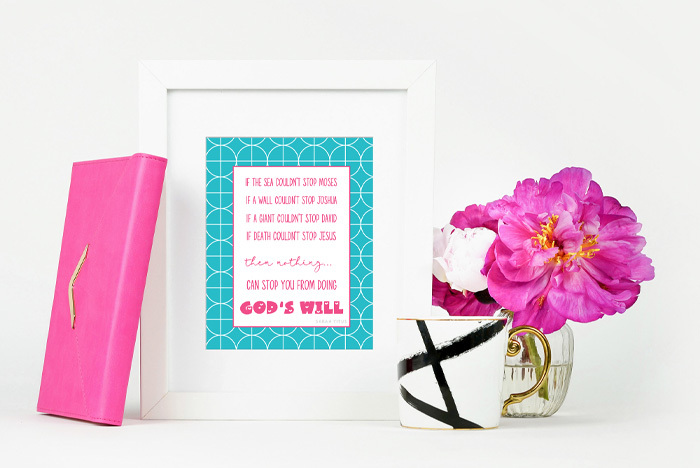 This Inspirational Spiritual Quotes Wall Art Printable is PERFECT for those times when you start thinking like me: I’m hindered…I can’t do something. I hate having to put my seat all the way forward just to reach the pedals to drive a car, or having to get a step stool to get into some of my kitchen cabinets. Just forget about changing a light bulb. This shorty cannot do it! 🙂 Nope…not even with a chair! It’s important to remember that we all struggle with things. Whether it be height, raising teenagers, not enough money, being a single mom….no one is above difficulties in this life. But, the truth is, that if you don’t find complete contentment where you are at in your life right NOW, NOTHING will change that. It’s such a joy-sucker, you know. I have a beautiful home now, but I’ve ALWAYS been content. Ask anyone who knows me. Even in that 2 bedroom small apartment right after I got out of the homeless shelter, I was happy, content. We all wish our lives were different in some way. We all look at someone else’s life and think they have it so good, we all get tempted to be discontent. Don’t let that steal your joy today. 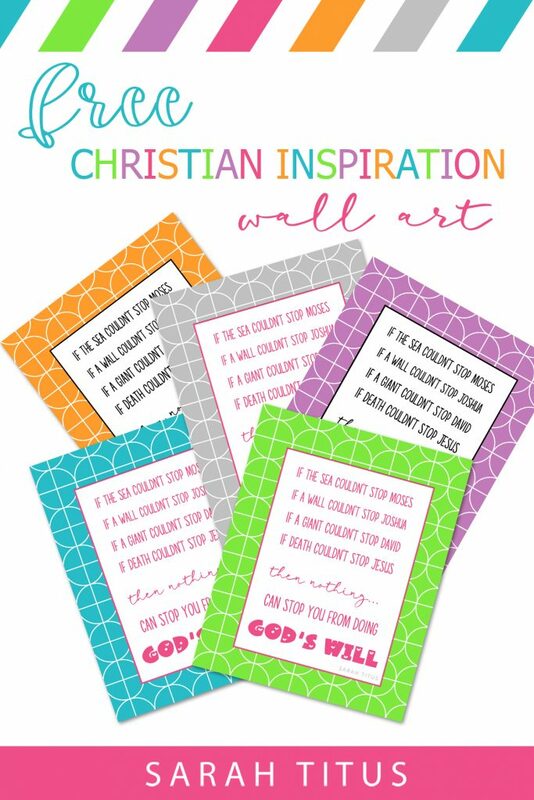 Love this wall art and the encouraging message behind it! I think we all go through seasons when it’s easy to give in to the joy-suckers, but we have to keep on keeping on to make it to the next level. No matter what we go through, God is still in control. He takes literally everything…the good the bad and the ugly and weaves it together into the tapestry of our lives, for our good and His glory. God has a plan for each of our lives, and when we trust Him with the details, we are unstoppable! Thanks for sharing these words of inspiration!